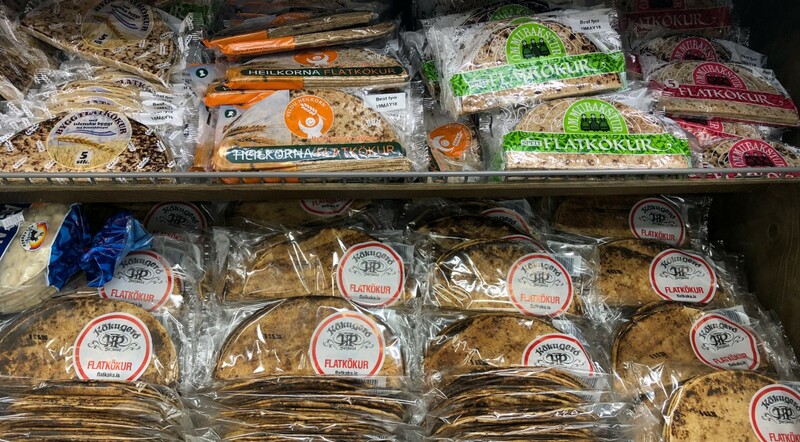 "Flatbread" is made with rye and whole wheat, and was initially cooked over fire. Our Grandmothers later baked them directly on the cooking surface of electrical stoves. Traditionally server with smoked lamb or trout, bread doesn't come more Icelandic than this. The name of this rye bread, "Thunder," actually refers to the farting one can expect after eating a loaf of this semi-sweet deliciousness. Þrumari is often served buttered with all sorts of fish, especially fish stew. However, it's also served as a standalone snack topped with smoked trout, lamb pate or herring. These pancakes which resemble the American one are usually served with savory toppings like smoked fish, cheese, and eggs. They probably found their way here from Scandinavia and are popular with the afternoon tea. You could say that the Kleina is an Icelandic version of doughnuts. This sweet bread is common in all of the Nordic countries, though most traditionally serve them around Christmas. 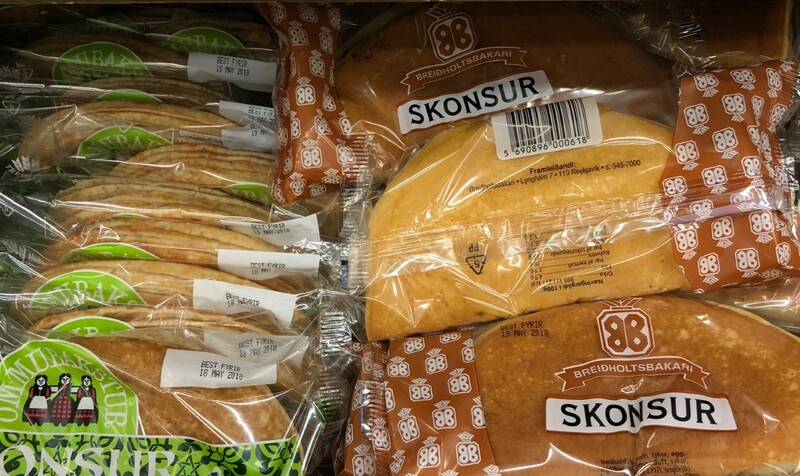 In Iceland, they are an ordinary everyday pastry and can be bought in the supermarket. Also found in bakeries, there they are freshly baked and still crispy on the outside. The Nordics love of cinnamon is best described as an addiction. Cinnamon buns in a variety of versions are to be found all over Scandinavia. The Icelandic bun is dubbed as "Grandma's buns" and resembles cookies more than bread. 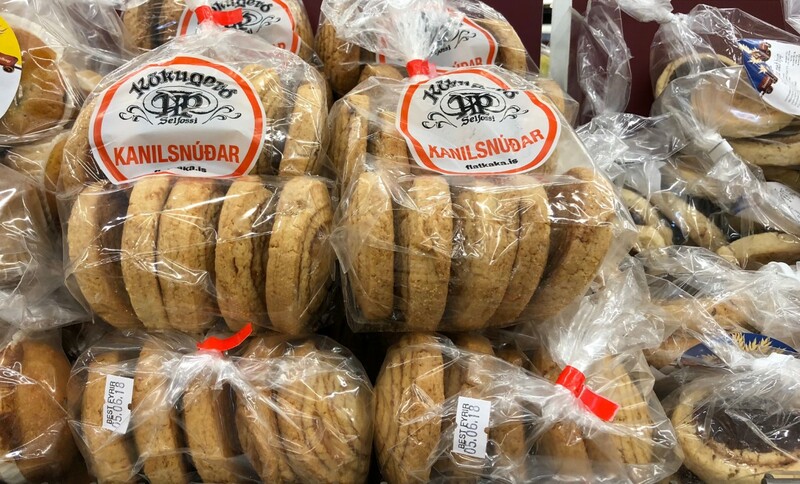 Served with milk or coffee, Ömmusnúðar are popular with all ages. 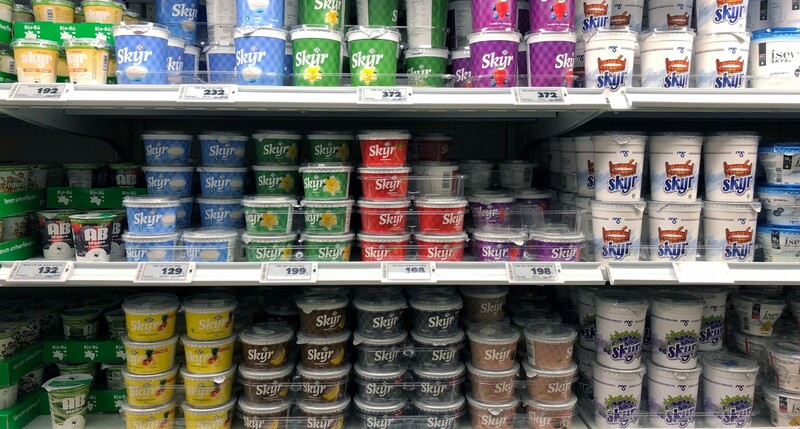 One of Iceland best-known produce is without doubt skyr, which is by now available widely over Europe and America. Although technically a cheese, skyr is most commonly served and eaten like yogurt. It's high protein content, and low fat makes it a popular snack with athletes and gym fanatics. It was traditionally served sweetened with cream, but modern producers offer a variety of flavors, including blueberries, vanilla, mango, creme brulee, and many more. 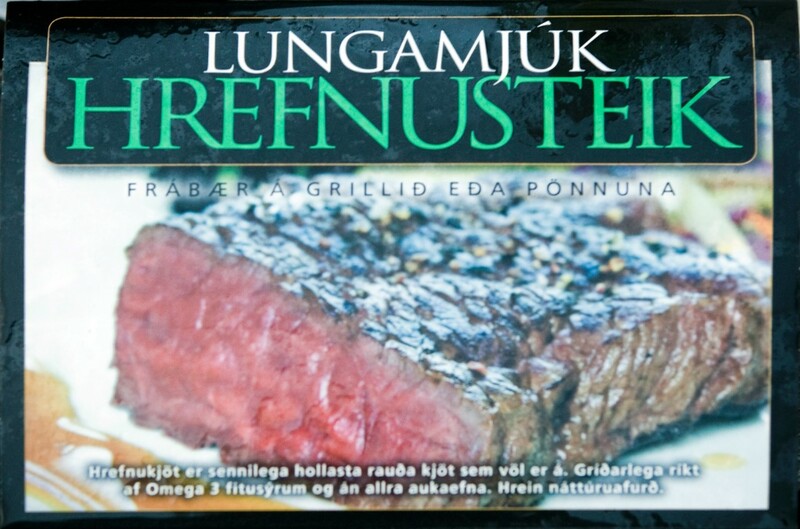 Icelanders like their food smoked, whether it's meat or fish. 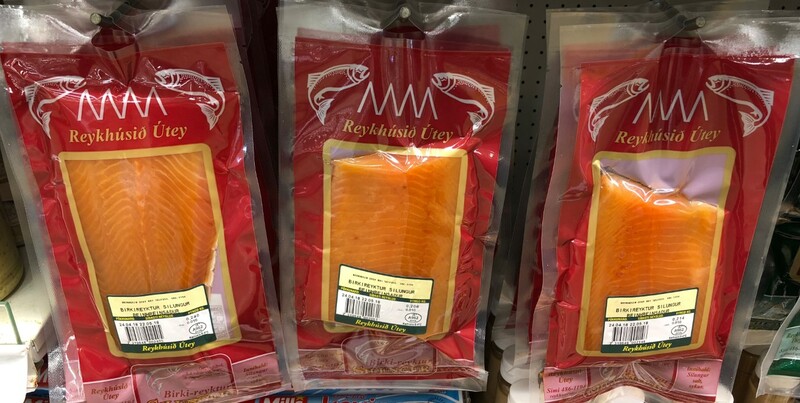 The most popular smoked fish is arctic charr (or "silungur"), which is traditionally served on rye bread. 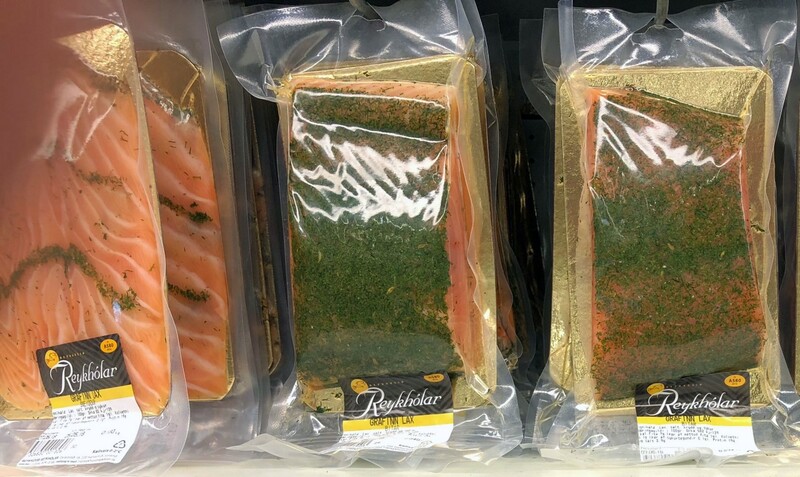 Smoked salmon can also be bought at the supermarket, for those who like their fish a bit more fatty. "Graflax" is common all over Scandinavia. This dill-cured salmon is a great topping on all sorts of bread. "Graflax-sósa" is a sweet mustard-dill sauce often served alongside the salmon. 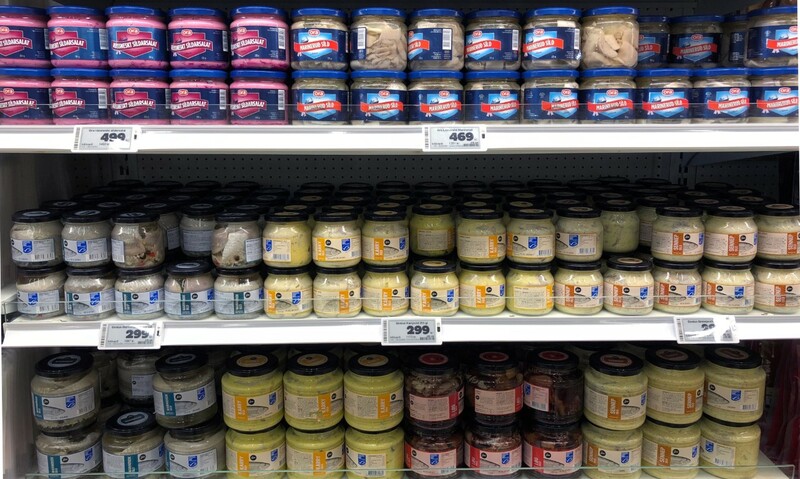 Also common in Western Europe, marinated herring is traditionally served around Christmas, although it can be bought the year around. Herring is typically served on rye bread, with a side of eggs and potatoes. This lamb-paté (or "rillette") is made with meat, but not liver. It's a popular topping for flatbread, rye bread or even regular wheat bread. It's often seasoned with bay leaves and allspice. These thin slices of smoked lamb are an essential topping for flatbread. 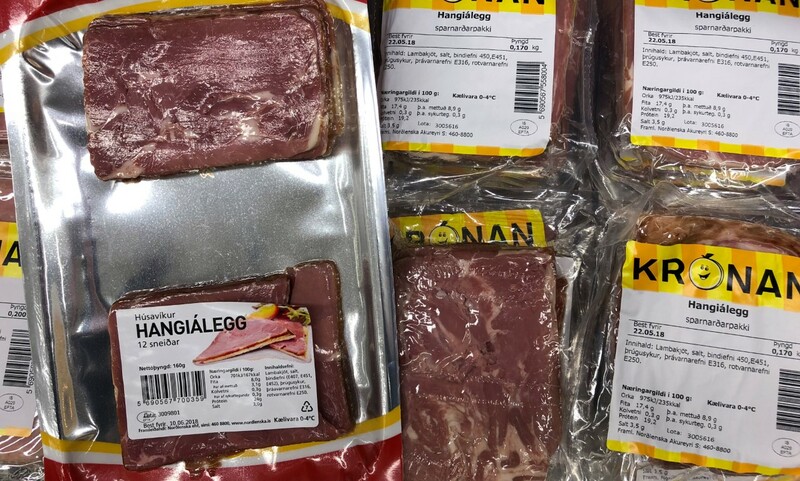 Icelanders typically eat a smoked leg of lamb for Christmas, but as a cold-cuts, it's served the year around. "Lifrapysla" literally means a liver sausage. It's both served hot and cold, as a main dish or even a side dish, for example with rice pudding. 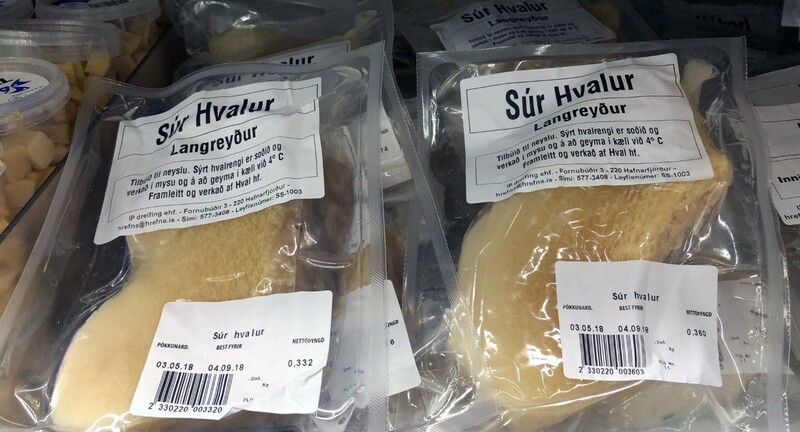 Another similar sausage is "Blóðmör" (meaning blood fat), which is similar to the Scottish haggis and maybe better suited for the more adventurous. 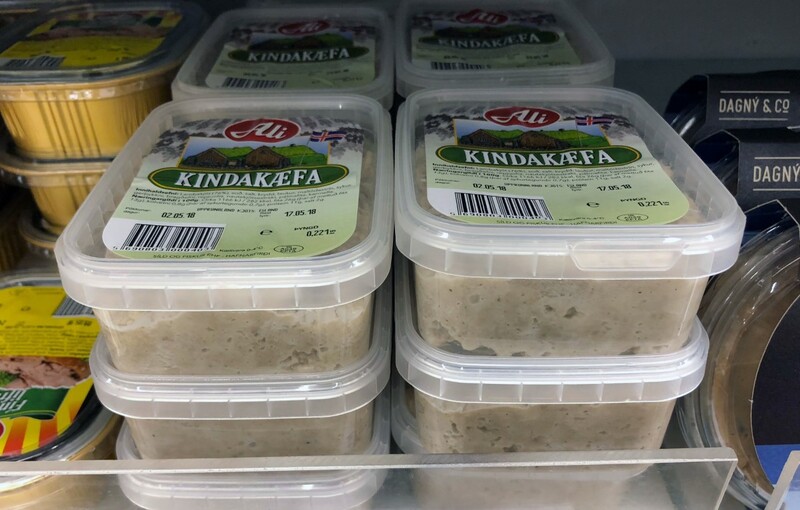 This Icelandic delicacy has become quite notorious. 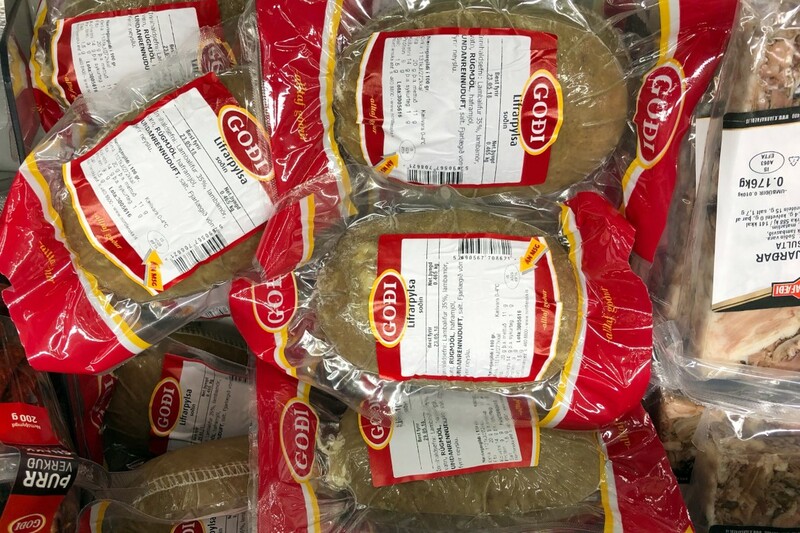 Famously making Gordon Ramsay barf, the rotten shark is the Icelandic version of (a strong!) Camembert. 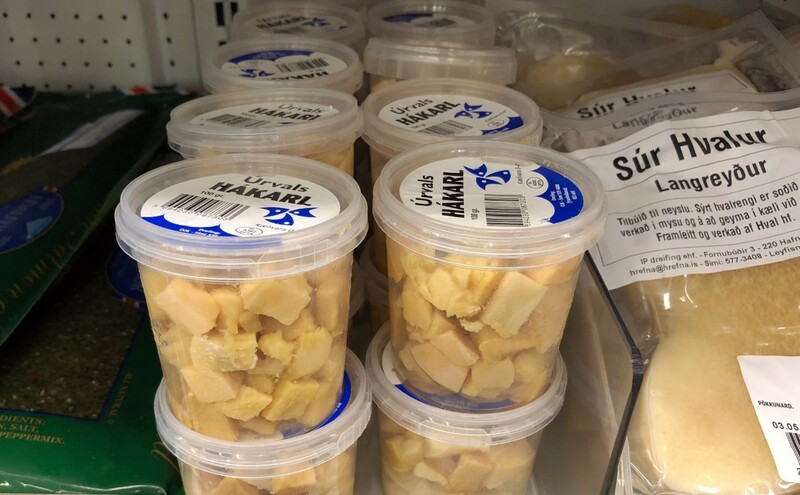 On Þorrablót, an annual winter feast, hákarl is usually served with a freezing shot of Brennivín, the traditional Icelandic caraway-schnapps. Harðfiskur means "a hard fish." This dried delicacy is probably best described as fish jerky. It's a classic snack for road trips, and many like their harðfiskur buttered for extra flavor. 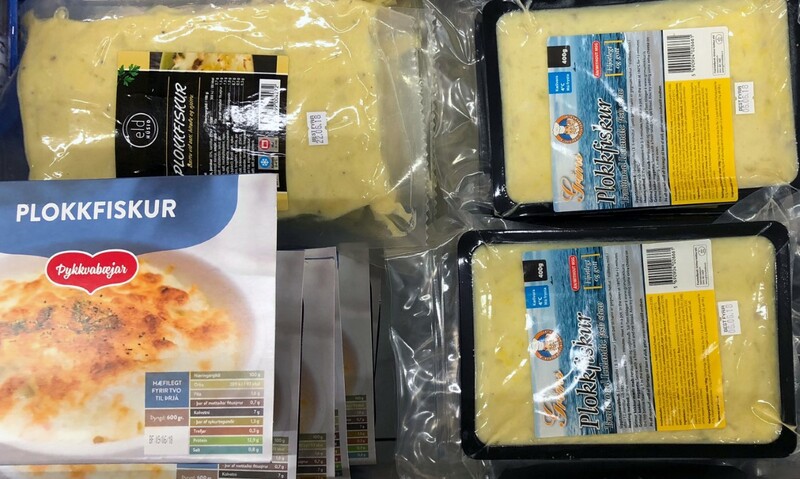 It comes in a variety of forms and usually made from cod, haddock or catfish. This classic fish stew can be bought premade at most grocery stores. It typically consists of haddock, potatoes, onions, some spices and bechamel sauce. Served with buttered rye bread and hard-boiled eggs, it's one of the most popular seafood dishes in Iceland. 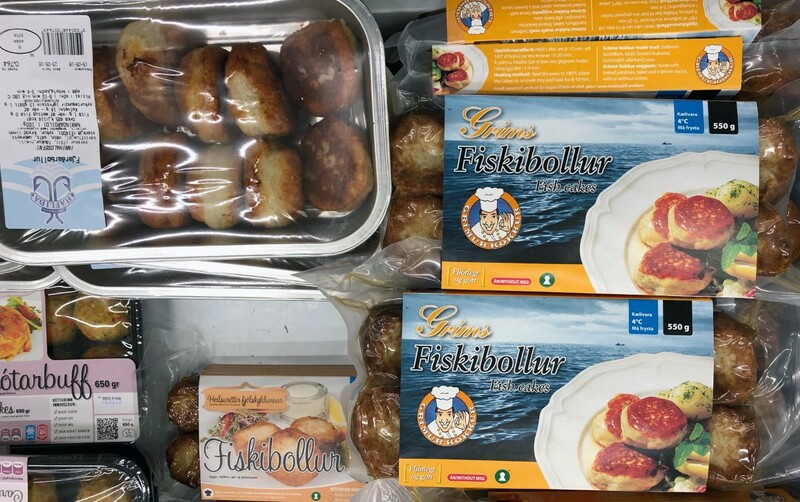 The Swedes have meatballs; the Icelandic have fishballs. Our grandmothers used to make these from scratch, but these days most people buy them at the store. Re-heated in the oven or on a pan, fishballs are usually served with boiled potatoes and onion butter or remoulade. What our - and yours - opinion might be, Icelanders are still hunting whale. 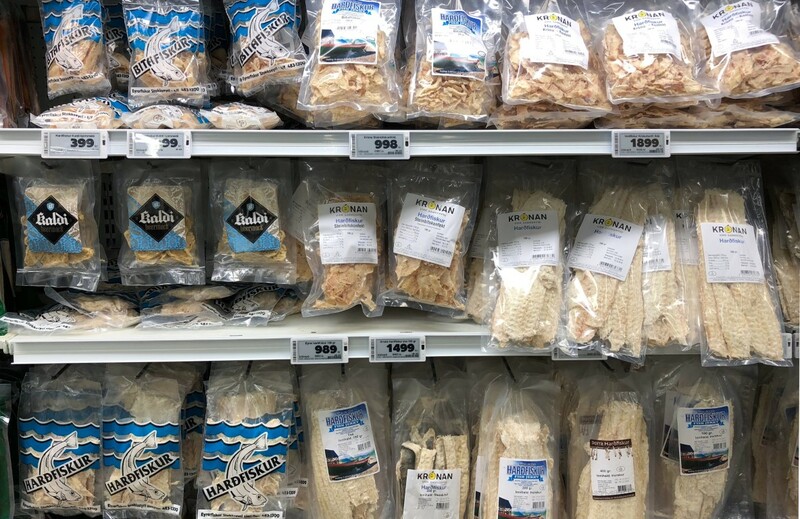 Some visitors choose to boycott all whale products and even restaurants that serve whale, while others are a bit curious about this rare delicacy. At most the supermarkets, frozen steaks of minke whale are on sale. Another preparation of whale meat is pickling. Unlike pickled vegetables, the focus is more on the acidity than the sweetness. "Sour whale" is not hugely popular, and usually more commonly eaten by older generations. 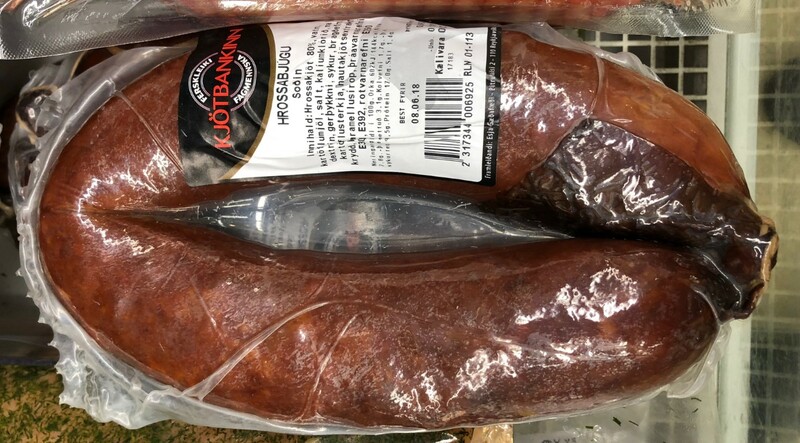 These large, smoked sausages are typically made with horse meat, although lamb variations are also available. They are usually served with potato mousse and "jafningur," a sweet bechamel sauce. Another quite notorious dish is the sheep's head. This blackened beauty merely is boiled in heavily salted water and served with potatoes and beets. Sheep's heads are available frozen the year around. However, a more handy snack is the "sviðasulta." 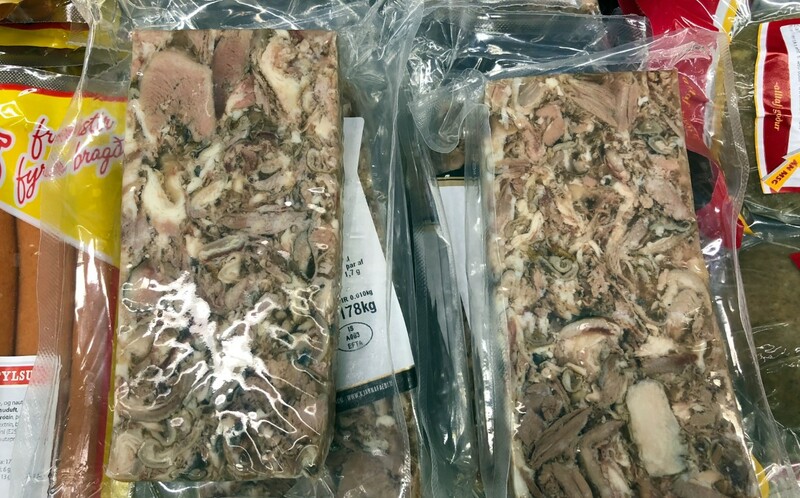 It resembles a terrine, with the meat cut in small chunks and preserved in a gel. Much tastier than it looks!